Brushless drives powered directly from a 230Vac single phase mains, for motors up to 11Nm. 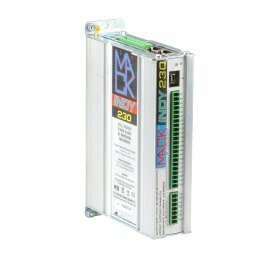 A truly flexible standalone drive for all servo requirements. It is compact and reliable, ideal for one or more axis machinery and articulated workstations or lines.